The Archbishop of Bendel Province, His Grace, Most Rev. Friday Imaekhai expressed appreciation and delight to welcome the Standing Committee to the Province and Warri in particular. He said this was the third time they were hosting the Standing Committee. The first was February, 5-9, 2013 in the Diocese of Benin; the second was 2-6, February, 2015 at Ughelli Diocese. 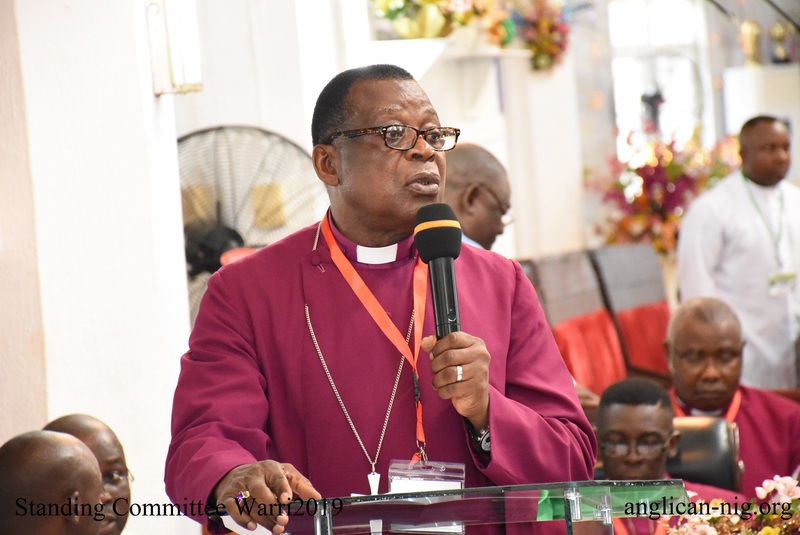 He listed the Dioceses that were make up the Bendel Province to include: Benin, Asaba, Warri, Sabongidda-Ora, Ughelli, Ika, Oleh, Esan, Sapele, Akoko-Edo, Etsako, Ndokwa and Western Izon. His words: That this Standing Committee meeting. David, Psalmist, through the Primate’s inspiration by the Holy Spirit, has come to admonish the Church to acknowledge the Lord as our Shepherd whose continuous presence, love, care, provision and guidance are available to those that follow Him.